Jonathan Mills grew up in Kalamazoo, Michigan, where he would often spend time collecting butterflies with his mother. His academic career began at Western Michigan University where he studied Latin. During his undergraduate career, he accepted an Army ROTC scholarship to assist with the cost of his studies. Following graduation, he was assigned to Dugway Proving Grounds in Utah as the United States was pulling troops out of Vietnam. Jonathan was assigned to an Army unit that was studying captured Soviet chemical equipment. His boss encouraged him to pursue computing rather than a career in the military, and he was provided access to an IBM360. Jonathan was taught how to program. He loved programming, and this catalyst led him to explore computer science. After leaving military service, Jonathan began working at Argonne National Laboratory where he worked on developing special computing hardware to process programs written in Prolog, a language used in artificial intelligence and computational linguistics. His exceptional work on that project led to Motorola funding his Ph.D. studies at Arizona State University. He based his doctoral work on the development of special-purpose digital hardware for processing Prolog programs. Jonathan’s career at Indiana University began when he was hired by the Computer Science Department in 1988. He continued his work on special-purpose digital hardware to process Prolog until stumbling upon a new idea. While helping a graduate student solve a problem in Lukasiewicz Logic, a type of non-classical multiple-valued logic, he noticed that although Boolean logic was well-suited to digital computers, the potential continuous nature of multiple-valued logic was a better fit for analog computers. Additionally, he noticed that most systems in nature (such as people) demonstrate these types of continuous properties. This insight propelled him to a career devoted to creating unconventional computing systems to model natural systems. During the early 1990s, Jonathan was influenced by Lee Rubel from the University of Illinois. Rubel had conceived of a theoretical machine called the Extended Analog Computer, but he did not know how to build it. Rubel’s thoughts on analog computation propelled Jonathan to spend his career focusing in this area. Over the years, Jonathan created many analog computational systems to model the behavior of the Extended Analog Computer. By the early 2000s, he was considered a world leader in unconventional computing, and in 2007, he accepted a position at the University of West England as the Leverhulme Trust Professor. There, he influenced new researchers as they were beginning their careers in unconventional computing. Jonathan’s true personality shined in his interactions with students. Jeff Jones, a graduate student at UWE, met Jonathan in 2007 when Jones was just a nervous student. “His warmth, genuine interest, curiosity, and warm, friendly character put me at ease,” Jones said. Upon his return from England, Jonathan was excited to apply the principles of the extended analog computer to the problem of protein folding. Dennis Shasha, Professor of Computer Science at New York University, invited Jonathan to spend the summer of 2009 working at the Courant Institute. “We sought out Jonathan because his work epitomized a physics-based rethinking of computation,” Shasha said. In 2010, Shasha and Cathy Lazere wrote the book Natural Computing: DNA, Quantum Bits, and the future of Smart Machines. The book focuses on computer scientists who use natural systems to compute, and it includes a chapter on Jonathan. He considered this to be recognition of a career spent working in this area. The work Jonathan pioneered has been foundational for several patents. One of the patents was co-developed with Russ Eberhart, the inventor of particle swarm optimization. Later in his career, Jonathan became interested in composing and performing music. He was mentored by TJ Jones, IU staff member and an expert bass player. “The first thing that impressed me was his enthusiasm and joy in discovering his innate ability to hear and create music, some of which turned out to be unbelievably sophisticated,” Jones remembered. In January 2016, Jonathan passed away following a long battle with cancer. 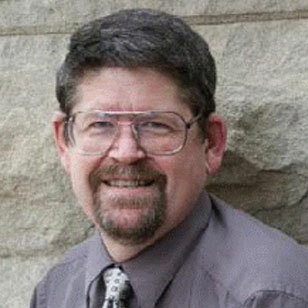 His absence will be felt at Indiana University and throughout the unconventional computing community. His impact, however, will persist through the people that he has influenced over the years.